Jacqueline has professionally designed safe and effective fitness programs for Manhattan's East Siders for over twenty years. Her training philosophy is "exercise smarter". She will teach you how to adapt the techniques used by professional athletes to create a personalized fitness program that suits your individual needs and exercise preferences. All ages and levels of skill are welcome. No equipment is necessary. Enjoy your workouts in the privacy of your own home, the luxury of your personal gym, the convenience of your office or the beauty of the great outdoors. Call 212.879.2865 to schedule an appointment with Jacqueline. She is accredited through the National Commission for Certifying Agencies in conjunction with the National Strength and Conditioning Association as a Certified Strength and Conditioning Specialist and in conjunction with the American Council on Exercise as a Certified Personal Trainer and Certified Group Fitness Instructor. IDEA Health and Fitness Association awarded her with their highest level of recognition, the Master Personal Fitness Trainer credential. Jacqueline has been certified by the American Institute of Fitness Educators as a Certified Personal Trainer and a Certified Group Fitness Instructor. She completed both the Personal Fitness Trainer and the Fitness Instructor certification programs at Marymount Manhattan College with honors. Jacqueline graduated with a Bachelor of Science degree from Cornell University, where she earned Dean's List recognition and completed the Pre-Med curriculum requirements. Jacqueline is recognized by the American Council on Exercise as a specialist in Strength Training, Flexibility Training, Older Adult Fitness, Youth Fitness, Pre- and Post-Natal Exercise and Boxing Aerobics. She has been certified by American Academy of Health and Fitness Professionals as a Post Rehab Conditioning Specialist, by both Promise Enterprises and KickFit as a Kick Boxing Instructor, by Equinox Fitness Training Institute as a Pre- and Post-Natal Fitness Instructor and by Health Academy of the City of New York's Department of Health for Swimming Pool Operation Technology. 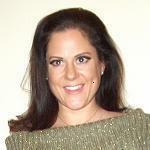 Jacqueline served on the faculty of the Marymount Manhattan College Personal Trainer certification program. She developed the first-ever strength and conditioning program for the New York Women's Baseball Association. Her fitness tips and workouts have been featured in several publications, including Men's Health and New York Daily News. She has over twenty years of experience as a full-time fitness professional and nearly a decade of experience in health club management and sales. If you are located on Manhattan's East Side, please call 212.879.2865 and start exercising smarter today! Mention this site to receive a free consultation with the purchase of at least one exercise session.